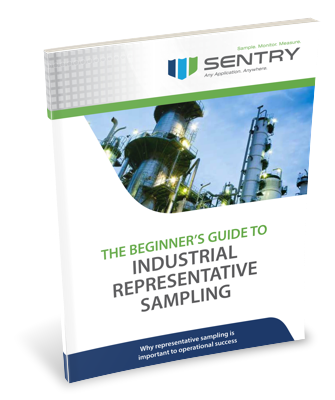 In March 2016, we launched an ebook for Sentry Equipment Corp titled "The Beginner's Guide to Industrial Representative Sampling." As evidenced by the title, this piece was meant to serve as an introductory guide that would be especially helpful during the awareness stage of the buyers' journey. It was important to the client to produce a go-to evergreen content piece that would continue to perform for them and would be relevant to most of their target prospects. We created the piece with many different industry segments in mind, rather than targeting any specific segment, to ensure that the guide would be applicable to the greatest amount of prospects possible. 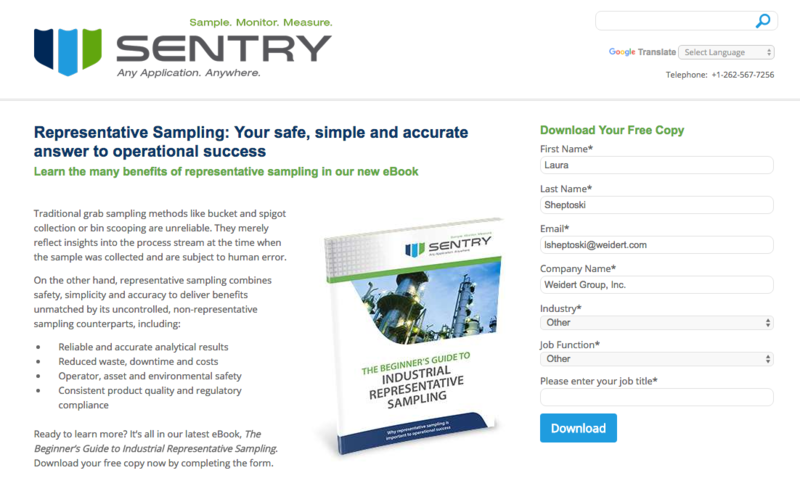 By its nature the eBook was designed to be easy to read and understand. It's a beginner's guide, and we designed it as such. Once the eBook was finalized, we sent a promotional email to their existing list of contacts, began sharing the piece on social media and featured a call-to-action for the guide prominently on their website and blog. The results were instantaneous, with a conversion rate of over 60% in the first two weeks. Better yet, the guide generated a whopping 80 MQLs in that same time period. Never underestimate the power of a great, high-level content piece that will resonate with the majority of your audience and jumpstart your inbound program. Sentry Equipment Corp had built up a nice contact list, but some of their contact profiles were incomplete. By sending an email to their list with a link to download the guide, they were able to fill in some of the gaps in their list and better qualify their contacts.